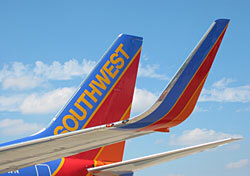 On July 8, Southwest announced plans to form a codeshare with Canadian carrier WestJet. The agreement will allow passengers to purchase through fares on Southwest to any of the Canadian destinations WestJet serves, and vice versa for WestJet passengers traveling to the U.S. This codeshare marks Southwest’s first foray into international service, and offers a glimpse of how the low-cost airline may look to grow in years to come. Codesharing allows an airline to broaden its reach without adding planes or staff, meaning a carrier can add passengers and revenue without drastic increases to its expenses. In Southwest’s case, the airline can remain a lean, mean domestic machine while giving its passengers new options. Now, Canada may not seem like a huge win at first glance, but there is a lot of potential for new traffic, particularly coming from the north as frozen Canadians head south for a mid-winter break. Southwest’s strong presence in Florida, Texas, and the Southwest will certainly garner attention. We’ll have to wait a while before any details are announced—and even longer until the codeshare takes effect in late 2009—but it will be interesting to see how the airlines match up their routes. WestJet presently flies to a dozen destinations in the U.S., including Los Angeles, Las Vegas, Newark, and a handful of cities in Florida and Hawaii, but it doesn’t serve Southwest’s major cities like Houston, Dallas, and Chicago.